You will have the opportunity to listen to music and watch documentaries. Conference and discussion with the physician Jean-Marc Lévy-Leblond at the association, thursday 10th of november at 15. Are you between 18-30 years old ? Willing to participate in a Youth Exchange in Palestine about the identity and the heritage ? Join our project, between the 28.10 and 08.11 ! 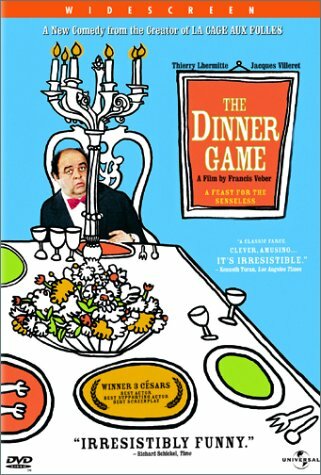 Showing of the famous french comedy “The dinner game” at the association, at 2pm ! Don’t forget to bring 20 shekels if you want to suscribe at the Club francophone ! Since September 2015, Mathilde, Michele, Robin, Abed and Maali, started a choir school in the Association, under the name of Amwaj (Waves). This project follows the very successful choral summer camp which took place in August 2015 at the Association. The classes last all year round, and take place two afternoons a week, Saturdays and Sundays, for 30 children from Hebron and surrounding areas. The kids sing in more than 20 different languages. They participate to joint rehearsals and camps with children from Bethlehem and perform concerts with professional musicians every 2 months in different venues in Palestine (Jericho, Bethlehem, Hebron, Jerusalem…). International Workcamp in Dura 17-30 April – Yalla! Tomorrow, we will welcome the international volunteers for our 2 weeks workcamp in the countryside south of Hebron. During these 2 weeks, we will mark a hiking path between Dura and Taffuh. To download the workcamp info pack, click on the picture above! Every tuesday, the association screens a moovie in French, english or arabic! You are more than welcome!